Australian Warehouse Solutions introduces the easy to use metal wire strap buckles, an economical way to strap packages with polypropylene (PP) strap. 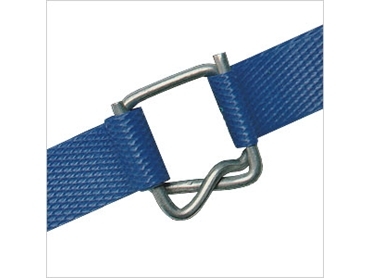 The metal buckles have been specifically designed for heavy duty strapping. They can be tensioned without hand tools, however when used with a tensioner the metal buckles will hold the straps more effectively as the tensioner ensure the metal buckle pinch down to hold the polypropylene strap securely.